Market Snapshot for Biscayne Beach, Single Family Homes, residential community in Miami Beach, Florida. 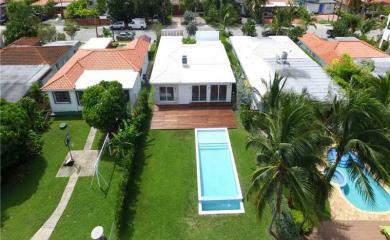 Biscayne Beach Single Family Homes is located at 1320 Stillwater Dr, Miami Beach, Florida, 33141. This residential community was built in year (1990) and currently offering (28) Single Family Homes for sale in Biscayne Beach, with price ranges from $395,000 to $4,349,000. 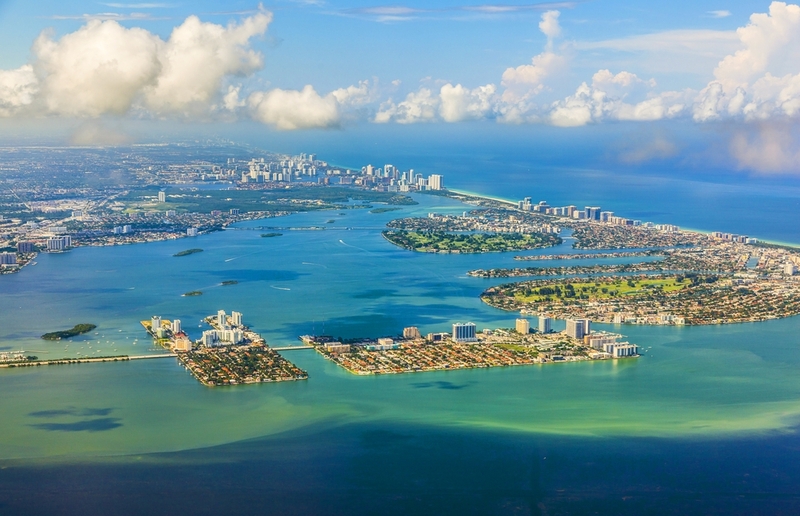 Whether you are looking for most up-to-date Biscayne Beach, Single Family Homes, residential community or another luxury development in Miami Beach, Florida to Buy or to Sell, our website will provide you with the most up-to-date luxury homes and condos for sale in the city of Miami Beach. Biscayne Beach: REDUCED, REDUCED FOR QUICK SALE, MIAMI BEACH. WATERFRONT DEVELOPMENT OPPORTUNITY FOR SALE, FOUR (4) ADJACENT WATERFRONT PROPERTIES WITH 1/2 ACRE OF LAND AND 225 FT. OF WATER FRONTAGE IN TOTAL. ON THE TATUM WATERWAY WITH NEW SEAWALL. BASE ON MIAMI BEACH ZONING (RM-1 MULTIFAMILY) THIS PROJECT CAN BUILD UP TO 46,000 SF IN GROSS BUILDING AREA. THIS PROJECT IS NOT A APPROVED PROJECT FROM CITY OF MIAMI BEACH, BUYER ARE RESPONSIBLE TO VERIFY ALL INFORMATION. HARD TO FIND LAND OF THIS SIZE, ENJOYING RENTAL INCOME WHILE GETTING THE PROJECT APPROVE. 14 UNITS ARE FULLY RENTED. 15 MINUTES WALK TO BEACH. Biscayne Beach: Welcome to 1055 Stillwater Drive, Miami Beach's best kept secret, and visit this 7 bedrooms 5 bathrooms waterfront home sitting on a large 11764 Sq. Ft lot. Come bring your boat, kayaks and enjoy the waterfront Miami Beach lifestyle. This spacious two-story home features two master suites; a private one on the second floor with an extra large porch to enjoy breathtaking views of Indian creek, Biscayne Bay and Surfside Skyline. Watch the dolphins and the manatees right at your feet. The outdoor porch offers spacious sitting and lounge areas some of them nicely covered to enjoy this lifestyle during summer and winter days. Home has been meticulously maintained. Contact us for a private showing. Biscayne Beach: It is rare to find a house directly on the bay that is "brand new" and priced to sell. House was completely reconstructed in 2017 including new roof, impact doors and windows, HVAC, plumbing, electrical, dock, seawall and landscaping. Entire property is gated and walled with alarm system. New 50ft seawall and dock with fresh water, shore power and underwater lights and outdoor shower. Interior features 3BR, 3.5BA with 9' ceilings and large open living/dining space. Gourmet kitchen has Bosch and Sub Zero appliances. Bathrooms feature Duravit sinks with Grohe faucets, walk in showers and wall mounted toilets. Telescoping sliding doors open to a large outdoor area with pool and Tiki covered loggia perfect for entertaining. An easy walk or bike ride to beach, Bal Harbour and North Beach. Biscayne Beach: In the heart of Miami Beach ,Waterfront with wide bay view on Miami Beach and Surfside . Redesigned and decorated by a well known French fashion interior designer. Completely remodeled like a brand new house - 4 bed/3 bath Villa - 4,000 SF of relaxing tropical resort, complete with brand new pool, tikki hut with private dock in desirable Island of Miami Beach . Private and beautifully landscaped.Comtemporary open kitchen with stainless steel appliances, new bathrooms give a great touch to the property. 2 washers/ dryers/ Dining, beaches and world-class shopping are nearby in Bal Harbour, Surfside and South Beach .Close to great schools 10 mn access from the ocean by boat. A must see ! Biscayne Beach: Charming, 1948 era 3-Bedroom, 2-Bath Waterfront home with newer kitchens and baths, hardwood floors and impact windows and doors. The property features a private sandy beach, an extra long dock with davit, a Tiki Hut, open lawn area, and a deck at the rear of the house. The garage has front and rear doors to easily get watercraft to the water. The location is great for swimming, fishing, boating, entertaining and private relaxation. The house is just outside the Stillwater HOA Gate, and across the street from the park. Easy to show by appointment. Biscayne Beach: Investment opportunity in Miami Beach ! Get this 8-units updated building featuring, hurricane shutters, fresh exterior paint, laundry facilities, exterior lighting, landscaping & secured gate. This rising income producing property attracts tenants with its remarkable modern style and location just steps from a 36-acre beachfront, park, school, public transportation, the beach, and more ! Hurry in and invest in North Miami Beach! Biscayne Beach: BEST DEAL WATERFRONT HOME IN MIAMI BEACH! Come and see this peaceful exclusive property in the gated Stillwater Dr! This 4bd/3.5bath gem is updated, bright open floor plan perfect for entertaining, special place !The area is experiencing an intense transformation making this area very desirable and yet affordable waterfront living in Miami Beach . Biscayne Beach: best deal for a renovated house with bay view in Miami Beach ! renovated house 2018 ( all with permits ) with converted garage. large living area with tv room, living room and dining room 3 bedrooms 3 bathroom 1 large master bedroom with ample closets. renovated heated pool, new tiki hut, dock. new impact put windows. new electric, plumbing, bathrooms, kitchen, a/c, floors, doors. Biscayne Beach: New price for this contemporary home completely gutted and renovated in 2012. Construction quality exceeds industry standards. Enjoy Miami Beach waterfront lifestyle, watch the dolphins from this immaculate home on the Bay in Biscayne Point. Built with attention to detail and great quality this open layout and modern design 4 bedroom home offers a bright indoor space great for family and entertaining. The large pool area with jacuzzi includes a private dock and plenty of room for recreation. Right across from the park, take a 10 min walk to find yourselves enjoying the gorgeous beach. Great layout, new kitchen, baths and marble floors throughout. Wake up in your master bedroom and open the electric shades to the views of the wide open bay. Plans for Master Bed expansion included. Biscayne Beach: MIAMI BEACH WATERFRONT HOME!!!!! WIDE BAY WITH SMALL PRIVATE SANDY BEACH. GUARD GATED COMMUNITY ONLY BLOCKS FROM THE OCEAN. THIS HOME IS FOR SOMEONE WHO APPRECIATES VINTAGE MIAMI BEACH RANCH HOMES; ORIGINAL TERRAZZO AND CUBAN TILE FLOORING. CAN EASILY BE RENOVATED/OR DEMO'D. LOT ALLOWS FOR LARGER NEW HOME AND POOL. THIS IS A UNIQUE HOME IN HOT NEW "NORTH BEACH". MINUTES TO BAL HARBOUR AND SOUTH BEACH. EASY ACCESS TO SHOPPING AND AIRPORTS. CALL FOR PRIVATE SHOWING. 24 HOUR NOTICE REQUIRED. Biscayne Beach: Waterfront pool home with beautiful wide bay views, no bridges to bay, 4/3 pool home near cul-de-sac in a small gated Miami Beach (Nobe) community. This house has the original master on the ground floor, and a huge master suite with a spa bath/ separate shower and large closets on the second floor, with a big balcony. Kitchen has granite counter tops and stainless appliances, including a double oven. Watch dolphins and manatees from the backyard. Plenty of off street parking and a one car garage. Plenty of storage. Heated pool. 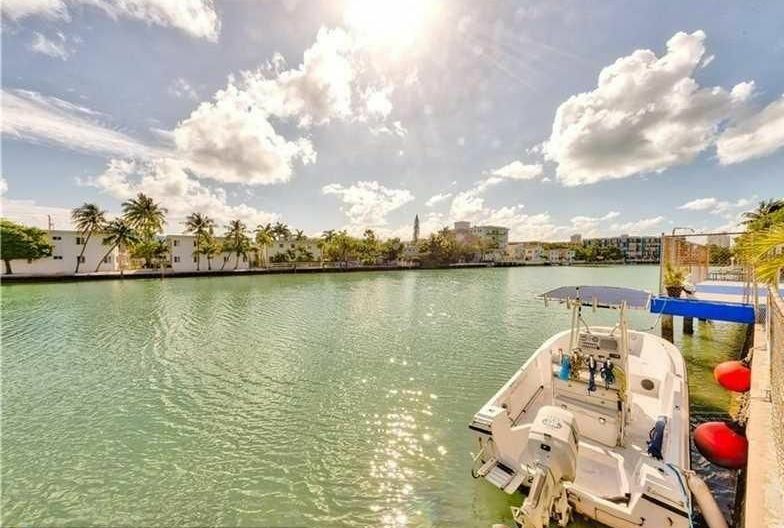 Biscayne Beach: Miami Beach boater’s dream, this property enjoys stunning unobstructed views north over the intercoastal and towards Indian Creek Island and Surfside. It has a large deck/dock area, perfect for entertaining and space for up to a 50 Ft boat with no fixed bridges to ocean. Opposite the property is children/dog friendly Stillwater Park and Stillwater's gated entry. 24hour guard’s view is directly over the house. The property offers an ideal floor plan for entertaining with a large open living/dining space, 3 bdrms & 3 bathrooms, 2 ensuite, plus 4th bedroom/games room or office. There is also “Granny Annex” with bedroom/kitchen and bathroom. It is rare to find a house directly on the bay that is priced to sell. This House is Peaceful, Magical and Paradise on Earth... A must see! Biscayne Beach: LOCATED IN THE STILLWATER NEIGHBORHOOD OF MIAMI BEACH, ACROSS FROM STILLWATER PARK AND JUST A SHORT WALK TO THE BEACH. THIS HOME IS A BOATERS PARADISE WITH ONE OF TE MOST BEAUTIFUL EXPANSIVE WIDE BAY VIEWS OVER LOOKING INDIAN CREEK ISLAND. THE SEA WALL IS LESS THAN 5 YEARS OLD. THE HOME FEATURES AN OPEN FLOOR PLAN WITH A KITCHEN THAT FLOWS OUT ONTO THE FAMILY ROOM AND DINING ROOM AREAS. JUST A SHORT DRIVE PUTS YOU IN THE MIDST OF EXCITING SOUTH BEACH OR THE UPSCALE SHOPPING AND DINING OF BAL HARBOR. SPLIT FLOOR PLAN WITH THE MASTER BEDROOM LOOKING OUT TO THE OPEN WATER. Biscayne Beach: Enter the front door & let your breath be taken away by the view straight through to the inviting pool, dock, bay & Indian Creek Village's multi-million dollar homes beyond. This exquisite home sits on a gated peninsula with tile floors, & an open floor plan ideal for entertaining! The kitchen was remodeled with features any chef would approve. Italian cabinetry, Quartz countertops, task lighting, and a brand new stainless steel appliance suite. Stone, brick, & wood beam features and a decorative electric fireplace add to the character & charm of this lovely home. The home has an amazing outdoor oasis with in-ground pool, dock & amazing view. One-car garage, circular driveway, freshly painted, & so much more! Do not miss out on this excellent opportunity for waterfront home ownership! Biscayne Beach: Come and Live in Paradise ! Rare and beautiful waterfront haven in Miami Beach, no bridge to the ocean. Private beach like backyard, pool and natural wood deck. All in one story, with landscaped grounds with large tiki roof. Inside ideal floor plan with 3/3 completely independent sleeping quarters & bathrooms. Large living room open on both views and exposures. The kitchen is opened to the living area, with 2 bars with granite countertop. An incredible wide bay view on still waters giving a special key west feel *** Rare waterfront house 5mn walk to the ocean, steps from Bal Harbor shopping and dining. This House is Peaceful, Magical and Paradise on Earth... A must see ! Biscayne Beach: Own 5 income producing units in Miami Beach! All 5 units have been renovated and are rented. Units are located directly on the intercoastal waterway with ocean access! Property is near the Stillwater Park and Crespi Park. Units are located in a high rental area. BRING YOUR OFFERS! Biscayne Beach: LOCATION!! ESPECTACULAR WATERFRONT!! This is set up as a DUPLEX and it can be easily reconverted to SINGLE-FAMILY. Unit #1: two bedrooms / one bathroom. Unit #2 facing to the water renovated: three bedrooms and 2 bathrooms. Access to the ocean and space for a dock. Close to Collins Av and Bal Habour. Take advantage where is located and renovate it with your own style. Biscayne Beach is contemporary waterfront homes in secure gated community of North Beach. Biscayne Beach offers a somewhat secluded location with the benefits of urban living a stone's throw away from nature and the sand. 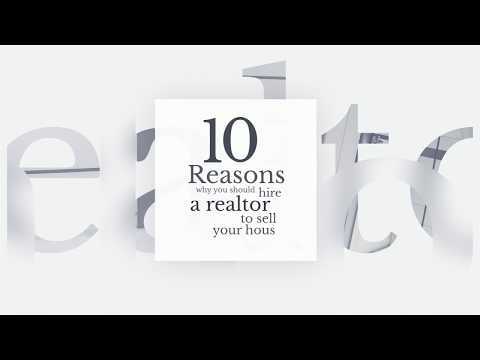 The ideal South Florida neighborhood can consist of many things to many people. For some, feeling the sand between their toes is a priority, so proximity to the beach is important. Others care about frolicking in well-maintained parks. Others, still, prefer to stare at the soothing sea, so living on or near the water is key. Convenient shopping or the chance to grab a bite can be a consideration for some as well. In the North Beach neighborhood known as Biscayne Beach, all of those elements are available - and then some. If you are unaware of its semi-hidden yet central location, Biscayne Beach can be easily missed. Surrounded by three other neighborhoods, the community stretches from 77th to 86th Street in the City of Miami Beach. The Tatum Waterway snakes along its eastern boundary, separating it from the North Shore neighborhood, which is just west of A1A. The one-block-long Stillwater neighborhood protrudes westward into Biscayne Bay from Biscayne Beach's northwestern end. And the horseshoe-shaped area called Biscayne Point extends west from Biscayne Beach's southwestern side. Platted in 1945, rather late in Miami Beach's history, Biscayne Beach is not surprisingly populated by a multitude of modest but eye-catching Miami Modern multi-family dwellings. These good-looking apartments and condominiums from the 1950s are fortunate to have a lovely view too. The Tatum Waterway is right outside many windows. Also adding to the neighborhood's housing stock: Single-family homes which line Hawthorne Avenue, on the west side, and look out over the water as well as toward neighboring Biscayne Point. During the recent real estate boom, a series of sleek new townhouses were planned and approved but the realty of the real estate market caught up to the excitement of the boom and the new projects have yet to be constructed. While most neighborhoods sorely lack green space, Biscayne Beach has not one but two parks. At the juncture of Hawthorne Avenue and Crespi Boulevard, the triangular Crespi Park sits at the area's south end. Travel north on Hawthorne Avenue and Stillwater Park, a pleasant introduction at the gated entrance for Stillwater Drive, will be your ultimate destination. A slight detour east leads to the shores of the Atlantic Ocean. Just a few short blocks away, the wonderful North Shore Open Space Park, with its sea grass, sea grapes, and powdery white sand beach, beckons. Plenty more opportunities for recreation, including tennis and basketball, are available at the nearby refurbished North Shore Park and Youth Center. Within walking distance of their homes, Biscayne Beach residents can also enjoy a variety of dining options ranging from fast food to Italian to Mexican cuisine in North Beach's Town Center business district. While shopping at independent stores peddling everything from hardware to sporting goods is possible in the nearby Bandshell Commercial District. North Beach is the northernmost section of the City of Miami Beach. It is roughly bounded by 63rd Street and Indian Creek Drive on the south side and 87th Terrace on the north. Neighborhoods within North Beach include Isles of Normandy, Biscayne Point, and La Gorce.